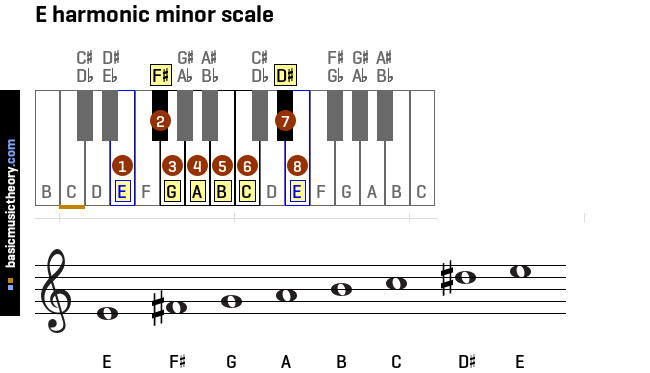 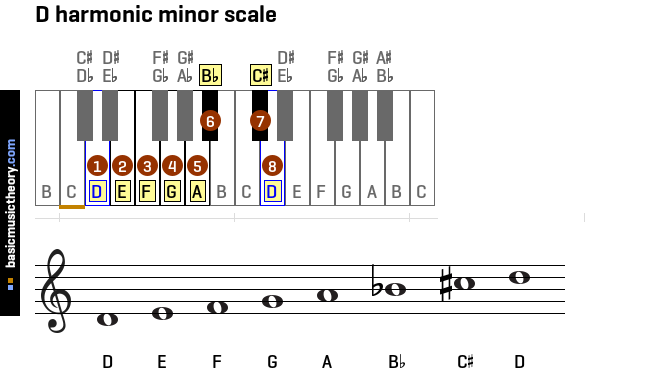 This page shows piano and treble clef diagrams of all harmonic minor scales, starting from note C.
The D-flat harmonic minor scale has 1 double-flat, 5 flats. The C# harmonic minor scale contains the same note pitches, is easier to work with, and is a direct replacement. 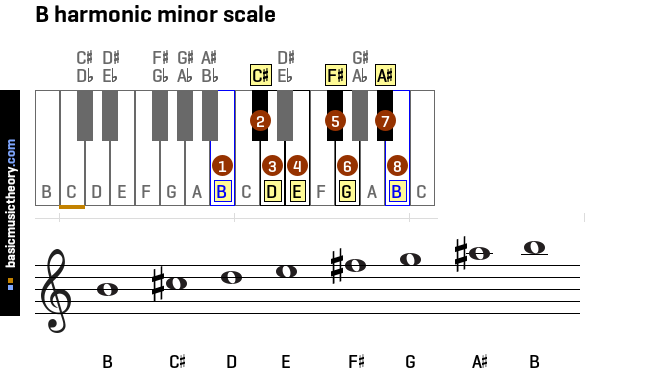 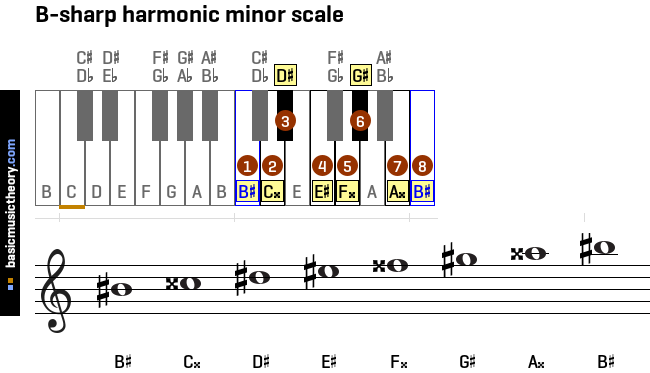 The D-sharp harmonic minor scale has 5 sharps, 1 double-sharp. 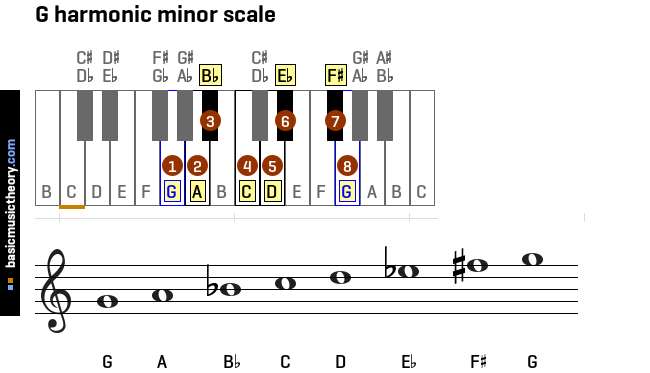 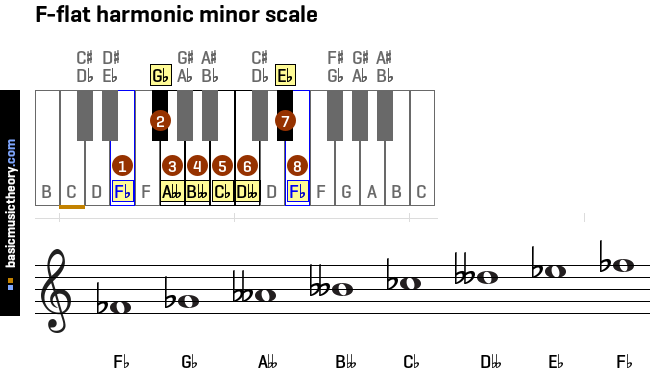 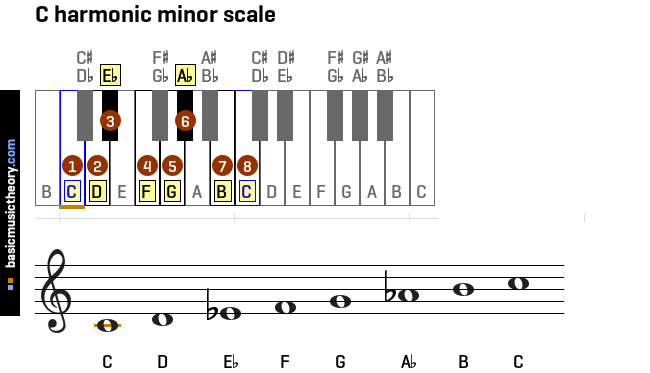 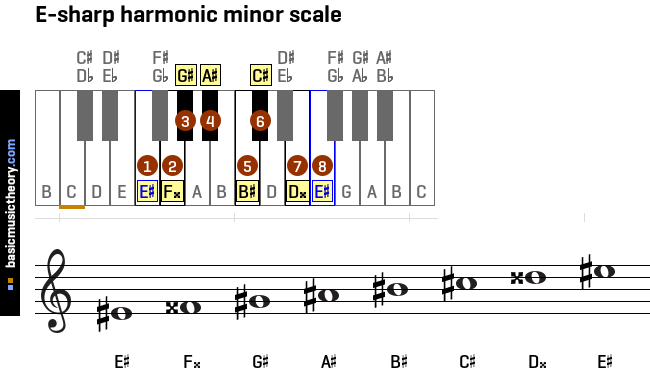 The E harmonic minor scale has 2 sharps. 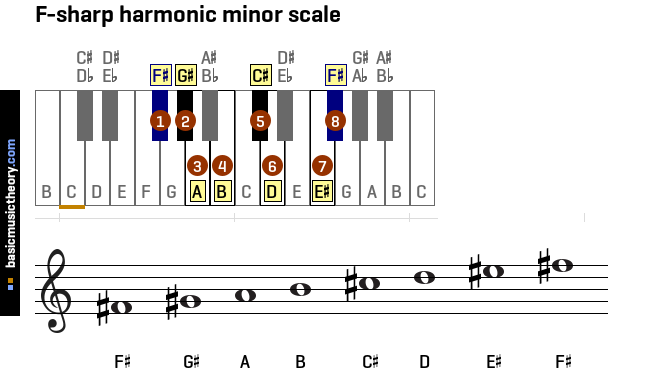 The F harmonic minor scale contains the same note pitches, is easier to work with, and is a direct replacement. 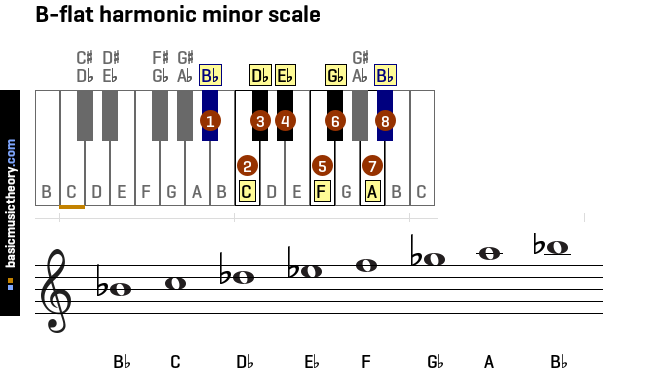 The E harmonic minor scale contains the same note pitches, is easier to work with, and is a direct replacement. The F harmonic minor scale has 3 flats. 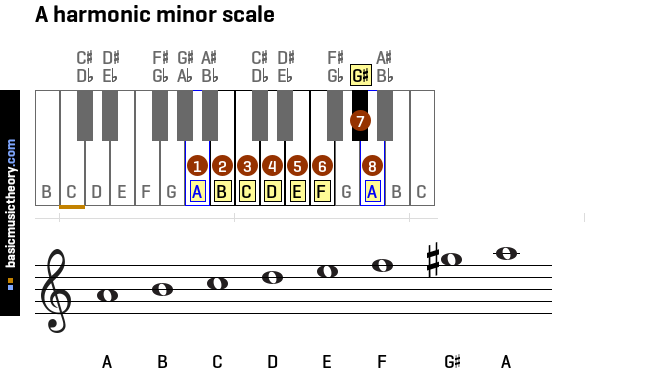 The G-flat harmonic minor scale has 2 double-flats, 4 flats. The F# harmonic minor scale contains the same note pitches, is easier to work with, and is a direct replacement. The G harmonic minor scale has 2 flats, 1 sharp. 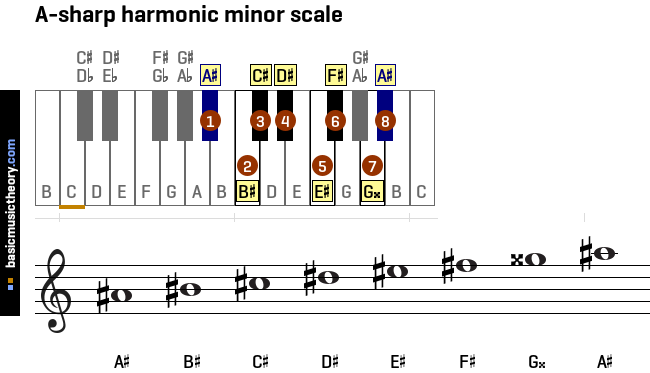 The A-sharp harmonic minor scale has 6 sharps, 1 double-sharp. 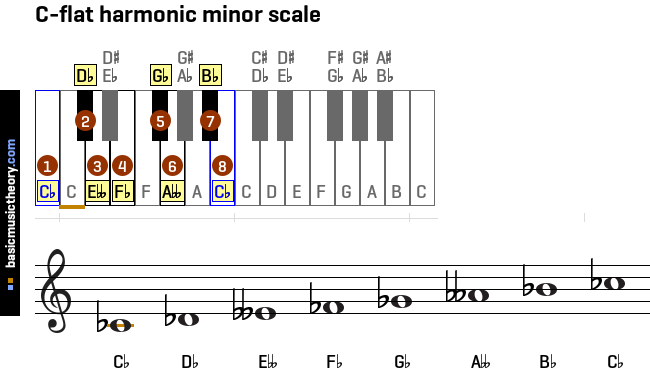 The C harmonic minor scale contains the same note pitches, is easier to work with, and is a direct replacement. 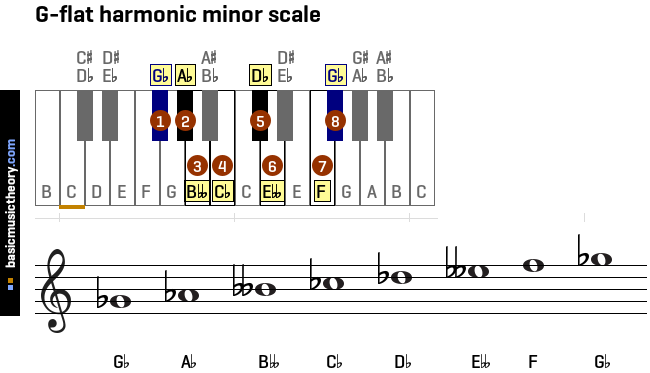 The B harmonic minor scale contains the same note pitches, is easier to work with, and is a direct replacement.